The Nolcha Shows at New York Fashion Week just wrapped the Fall/Winter 2018 season at Mercedes Benz Manhattan, featuring 8 runway shows. The platform for indie brands remains the go-to destination for discovering fresh designs during fashion week. 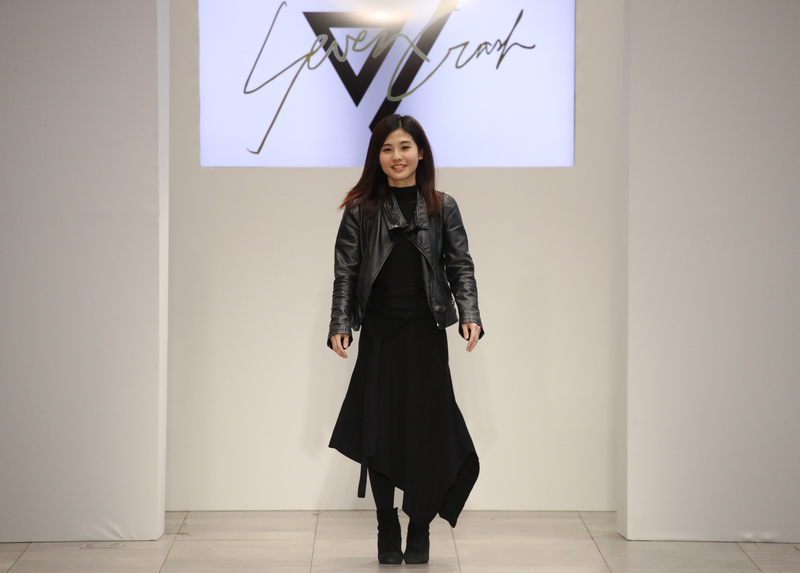 The day kicked off with a solo show featuring Gemma Hoi: a Chinese-born, New York-based designer and Parsons graduate nominated for various awards including CFDA / Teen Vogue, Eyes on Talent, WWD, Bergdorf Goodman’s Window Display & more, who has worked for major labels including Marchesa and 3.1 Phillip Lim. Her design aesthetic brings couture elements to ready-to-wear; and this season featured denim inspired by the uniforms of American female factory workers of the 1940s and the spirit of freedom, democracy and equality: entitled “Time Traveller 1940s”. Denim has always been inherent in breaking stereotypes and gender norms, and this collection was all about declaring women and denim as ultimate feminist forces that rebel against outdated tradition. 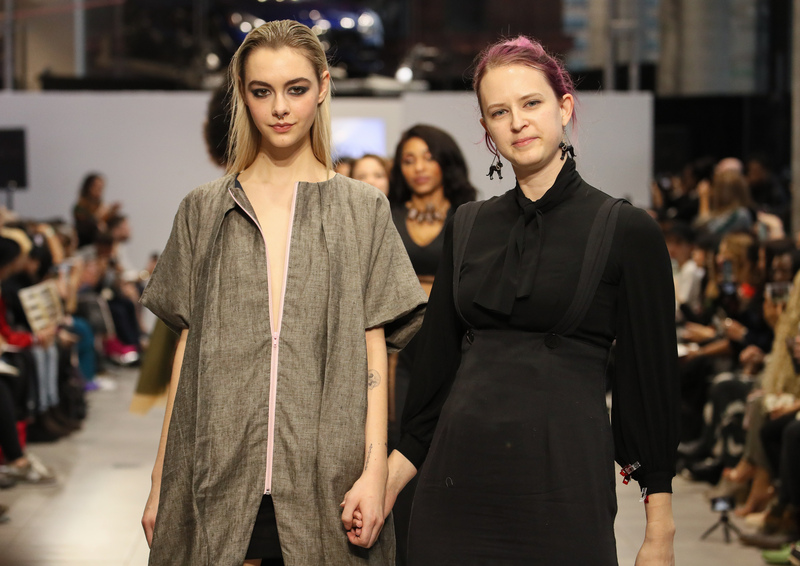 The 4 pm Collective Runway featured three shows. Lavanya Coodly debuted her line of handcrafted men’s & womenswear, inspired by the idea of escaping the confines of a day-to-day existence and the many worlds we straddle; to travel the world anytime without ever leaving. Seven Crash is a mix of men’s & women’s streetwear-inspired this season by “Gliese 581D”—a planet which is 20.4 light years away—exploring the relationship between human fantasy and technology using a mix of leather and wovens to illustrate the beauty between outer space and the real world. Stevenson University is a collection designed, sourced and produced by students who were inspired this season by The Evolution of Bjork. The 7pm Collective Runway featured four shows. 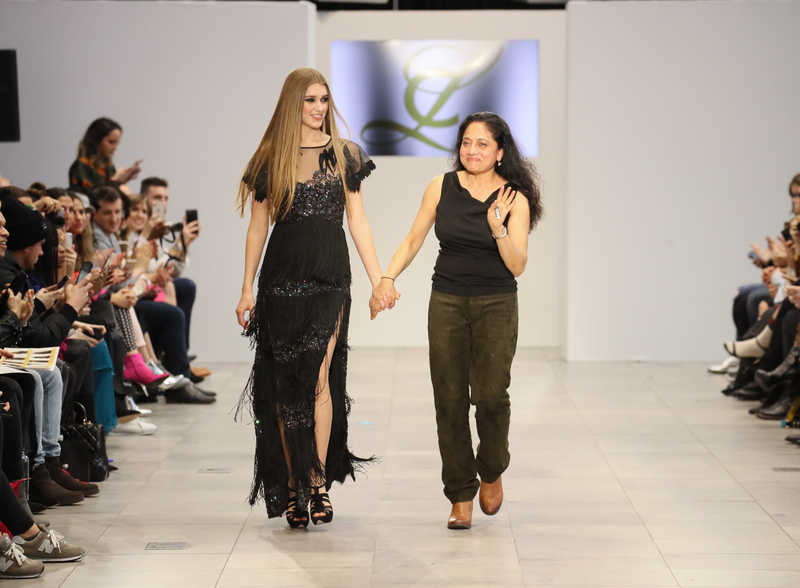 The first was by Sonia Olla is a Spanish designer hailed by the New York Times as “a furnace of earthy sensuality,” and a tour choreographer for stars including Madonna and Ricky Martin, who kicked things off with a live flamenco performance. She explores the art form of fashion to express the passion of dance with a flamenco-inspired collection that has a distinctly modern take on femininity and style. Vitruvius is a collective from Canada inspired by the large, oversized structures of Venetian costume such as ruffles, shoulder pads, and billowing sleeves. ARANYANI is a collection of luxury hand-painted leather bags by Indian artisans for women & men, marking the first accessories brand to take the runway. Finally, BC.J is a Chinese brand based in both Shanghai and New York. A Parsons graduate, designer SIJUN earned early credibility by becoming a 2012 CFDA / Teen Vogue Finalist as a knitwear designer and was the winner of the 2015 Joes Black Book Award for menswear. She launched her label BC.J in 2016, where she is known for using the medium of fashion to create three-dimensionality in her “canvases.” Armed with an extremely personal, emotional narrative, she sculpts womenswear pieces that exude a sense of emotion that is contagious and beautiful to watch. The Autumn/Winter 2018 collection was inspired by the vibrant colors of the neon signs and city skyline of Tokyo. In between shows guests also had the opportunity to browse the Nolcha Lounge designers & partners including Halo Mimi (hats), Jungwon (Outerwear), TALIA (jewelry), ECRU (beauty), and more. 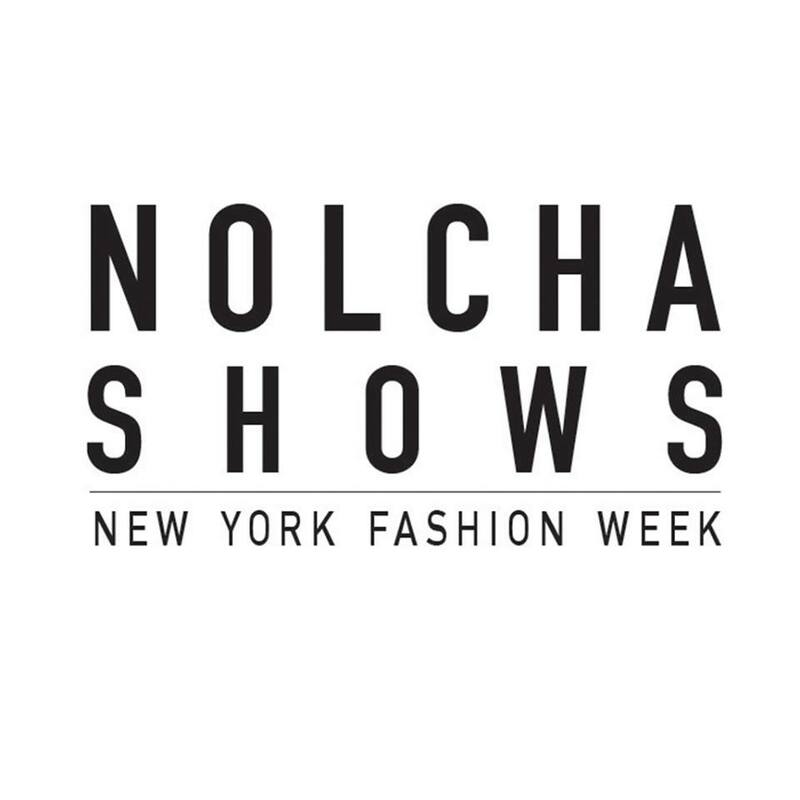 Official Sponsors of the Nolcha Shows included: Citibank, UPS, Sparkling Ice, ECRU, Twila True Beauty, BFROW, and AOFM PRO. For more information or designer profiles, visit www.nolchashows.com. Jimmy Hooper and 4 others upvoted this.